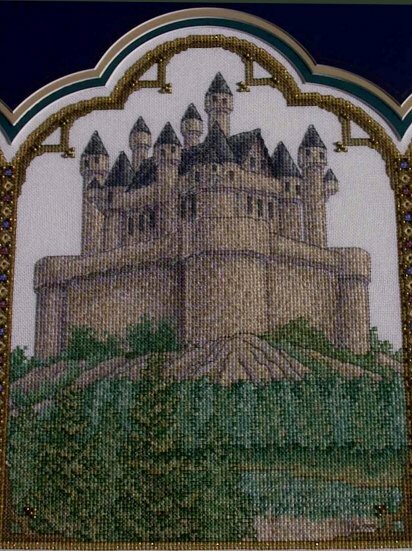 I started this piece May of 1996, shortly after completing The Castle . It was during this piece that I began working on more than one project at a time. 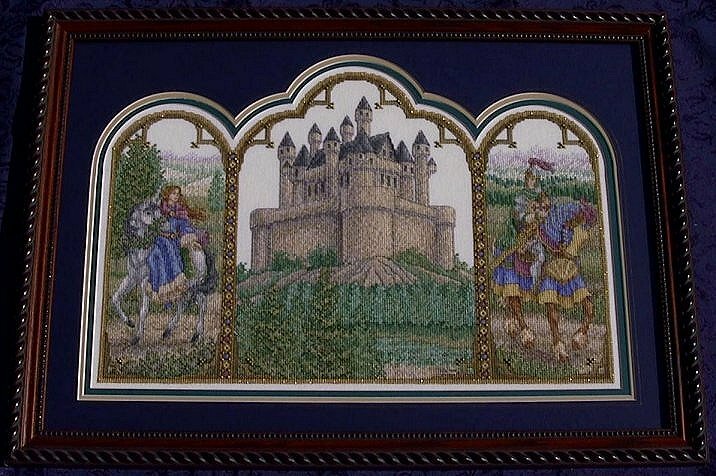 I finally completed Fantasy Triptych on September 12, 1999. It was a birthday gift to myself. 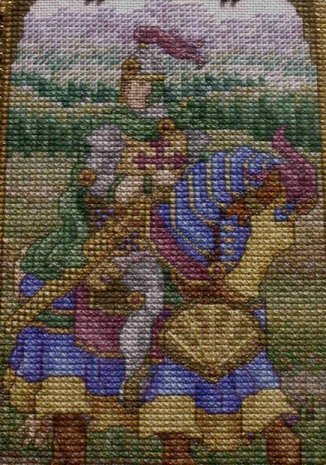 The piece is stitched on 25ct Antique White Joblean. 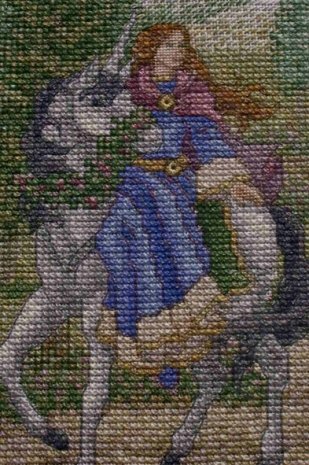 I added a gold blending filament to the gold portion of the border and made the maid's eyes green instead of blue. The piece was framed by Dan Melvin of Matte Ink in Plano, TX. When I walked in and laid it out on the table, he looked at me and said, "I know you don't want me to cut the matte to follow the arches." I just looked at him and grinned!